BRIGHTON, Mich - Do you have a new teen driver heading out onto the roads in the near future? As terrifying as can seem for some parents, there is a way for you to no longer worry! Ford Motor Company worked closely with the Parent's Supervised Driving Program to help prepare future generations for the road. Thanks to Ford's RoadReady App, driver safety has become more technologically advanced and convenient for both parents and teen drivers. Overall, Ford is helping teen drivers develop skills as safe and cautious drivers out on the road while engaging parents throughout the process. It does take more than a few miles on the road to become a safe driver, which is why Ford provides the Ford Driving Skills for Life program. This program picks up where parents leave off, teaching newly-licensed teens about things like safe driving habits and speed management in a fun and interactive way. Ford's RoadReady App Suports Teen Drivers and the journey they are making as they transition into a brand new chapter of their lives. 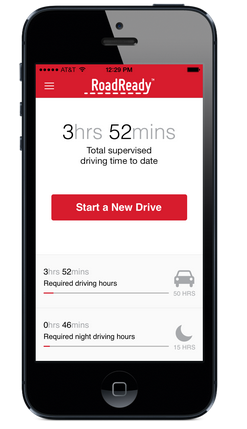 RoadReady is a FREE application that can help new drivers and provide parents with a sense of ease while their children make their way out onto the road. Are you looking for a safe vehicle for your new driver? Stop by Brighton Ford, where we have a variety of used vehicles, like the Ford Edge or Ford Escape, in outstanding condition. Bring your teen to the dealer and test-drive a Ford with us today!